Top Celebrity Makeup Artists Release Their Own Products! — Pepper B. When it comes to stalking celebrity beauty tips + tricks, I always want to know who is the name behind the face! Luckily, these days, actresses and music artists don’t shy away from giving the hands behind their signature looks a moment to shine too. These things aren’t so secret anymore. Sir John + Patrick Ta have both been creating products! If you follow any aspect of the beauty world, you already know who Sir John’s biggest celebrity client is: Beyonce! He also is the adviser on the reality TV show, American Beauty Star. His role is like Tim Gunn’s part on Project Runway. He’s very active on social media and began running in circles with big name Youtubers like Desi Perkins. He’s hosted masterclasses around the world, including a class that was held at a Woolworth department store in Johannesburg, South Africa, where the collection will soon launch! He’s even appeared in a Youtube video on Nikkietutorials’ channel where he did her makeup. In that video, he told viewers how he uses wig glue to keep Beyonce’s eyebrows in place. 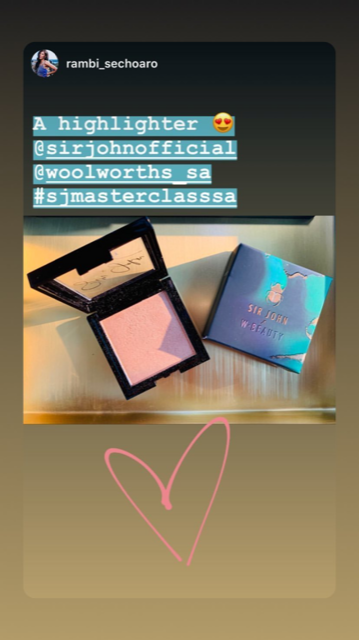 Sir John has partnered with a department store in South Africa and released cosmetics collaboration including an eyeshadow palette, lippies, what appears to be nail polish, and cheek products. There isn’t a release date yet. It is only available in South Africa at the moment ……but I’m sure those who crave it, will have it! 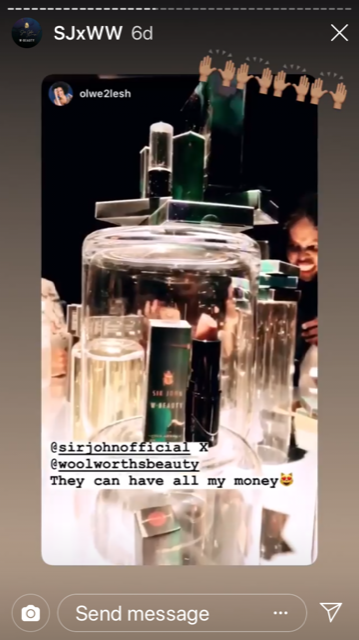 On Woolworth’s instagram they referred to this collection as ‘Volume 1.” Will there be a Volume 2?? Here are some screen grabs from the Woolworth’s Launch Party! Are you booking a flight to South Africa?? In the past couple of years, Partick Ta has been making his name more known. Especially with some social media influences. When I think of Patrick Ta’s signature looks, his client that often comes to mind is Shay Mitchell. He often works with her and shows all of his 1.3 million followers on Instagram his work. Like Sir John, Patrick Ta has made a Youtube appearance on Desi Perkins’ channel where he did her makeup. But now Patrick Ta is ready for his own line! When he launched Patrick Ta Beauty, his products sold out! They will be available for purchase at Sephora starting May 24th! Whose Line are you Feeling more? Get The Look: Lady Gaga Grammy's Look!